Crows Labyrinth returns with a new EP, this year’s second release. The three tracks span nearly 20 minutes and should please anyone that loves improvised fretless bass playing in an ambient setting. You can stream and buy the new EP from Crows Labyrinth’s Bandcamp page. 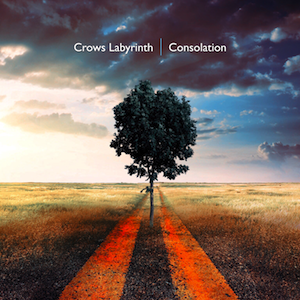 This EP covers the lighter, more melodic aspect of Crows Labyrinth’s musical output. If you liked the last two tracks of his debut album “Travels”, then you’ll be in for a treat. “Stateless” is a more abstract piece of layered improvised bass loops that ease in and out of existence. The EP ends with “Responder”. This track could already be heard on Soundcloud, but is now finally mastered and officially available. Crows Labyrinth is inspired by many artists. These names are a small selection: Brian Eno, Robert Fripp, Tangerine Dream, Steven Wilson (with his Bass Communion and I.E.M. projects), Tom Heasley, Loscil, Clem Leek. This album may also be interesting for fans of Atrium Carceri, Raison d’Être, Lustmord and Biosphere. Track 1 and 3 were recorded live in one take, without additional editing or overdubs. Artwork by Brian Watson of plan A art.